Definition at line 3033 of file commctrl.h. Definition at line 3039 of file commctrl.h. Definition at line 3035 of file commctrl.h. Referenced by cd_wndproc(), customdraw_fill(), ListViewCustomDraw(), and prepaint_setup(). Definition at line 3036 of file commctrl.h. Referenced by cd_wndproc(), customdraw_fill(), LISTVIEW_DrawItemPart(), ListViewCustomDraw(), and prepaint_setup(). Definition at line 3038 of file commctrl.h. Definition at line 3040 of file commctrl.h. Definition at line 3041 of file commctrl.h. Definition at line 3042 of file commctrl.h. Definition at line 3043 of file commctrl.h. Definition at line 3037 of file commctrl.h. 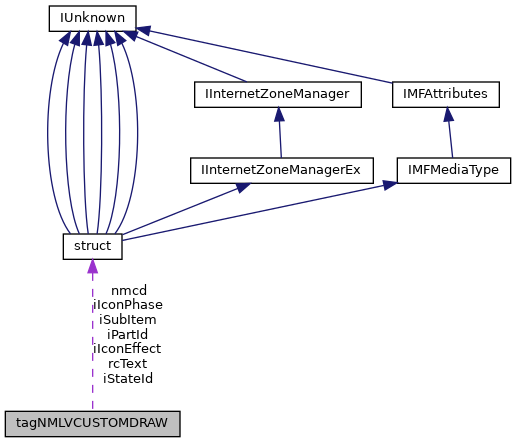 Referenced by cd_wndproc(), customdraw_fill(), LISTVIEW_DrawItem(), and notify_customdraw(). Definition at line 3034 of file commctrl.h. Referenced by cd_wndproc(), customdraw_fill(), LISTVIEW_DrawItem(), LISTVIEW_DrawItemPart(), ListViewCustomDraw(), notify_customdraw(), and prepaint_setup(). Definition at line 3044 of file commctrl.h. Definition at line 3045 of file commctrl.h.